The angelic-voiced musicians of the Vienna Boys Choir celebrate the magic of the holiday season with a delightful program of Austrian folk songs, classical masterpieces, Christmas hymns, and holiday carols. For six centuries, these young cultural ambassadors have been adored the world over for their wide range of repertoire, purity of tone, and generosity of musical spirit. 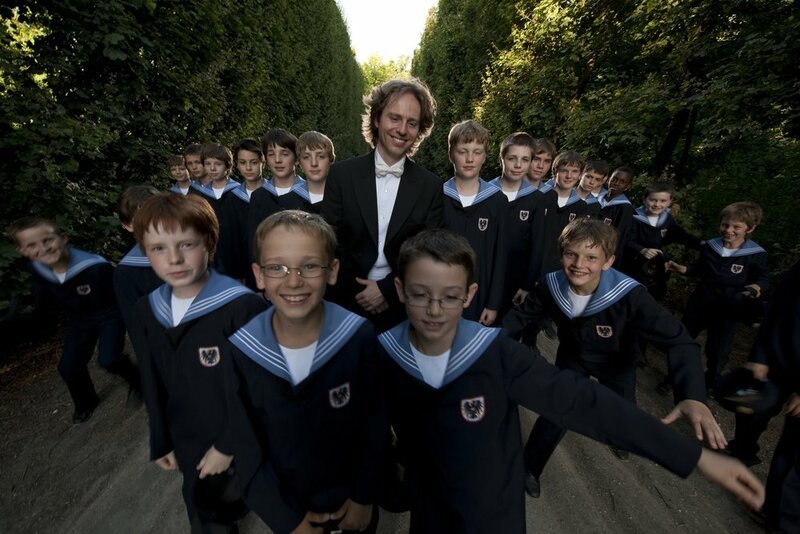 The Wiener Sängerknaben or Vienna Boys' Choir is the world's foremost children's choral group. It is also among the oldest of all musical organizations, having been founded pursuant to an Imperial decree of Holy Roman Emperor Maximilian I on July 7, 1498; the Emperor wished boys' voices to be added to the choir of the Imperial Chapel, or Hofkapelle. This established a tradition of having the boys sing in weekly Sunday masses in the Imperial Chapel of the Hofburg Palace in Vienna, a tradition that continues today. Over the centuries, illustrious composers have written masterpieces for the Boys' Choir of the Imperial Chapel, including Mozart, Bruckner, Gluck, and Schubert. Many great musicians got their start as members of the Boys' Choir; among them were the great conductors Hans Richter, Clemens Krauss, and Lovro von Matacic. During the days of the Austro-Hungarian Empire, the choir became renowned for its secular performances as well, appearing in colorful Imperial-style military uniforms, each complete with a dagger. After World War I, wide popular and governmental disfavor of all things Imperial resulted in the dissolution of many long-standing institutions, including the Imperial Chapel Choir. However, Chaplain Joseph Schnitt remained in his position at the chapel and re-gathered the choir. Sparing no personal expense, he re-established a boarding school for the choristers. He replaced the imperial uniforms with a distinctive sailor-style uniform. The Vienna Boys' Choir has the most stringent training and admittance policy in the world. Boys wishing to join must first gain entrance to a preparatory school where they receive a complete elementary education. Their instruction includes elements of musical theory, sight-singing, and the practice of singing, and instruction on at least one instrument; at the age of nine, they have to pass an examination based strictly on musical ability and vocal quality. There is no religious requirement. The teaching is purposely intensive in order that their education not be slighted due to the frequent touring. There are usually two choirs away on a tour at any given time, most frequently for three months. They are accompanied by their choirmaster, their tutor, and a nurse. Vienna Choir Boys have visited the United States well in excess of 50 times since 1932 and have traveled to all six inhabited continents. They are beloved the world over for their lively singing style and beautiful tone and have commissioned a number of new works, including Britten's The Golden Vanity.